This walk/cycleway will stretch 70kms along the Waikato River, from Ngaruawahia in the north to Horahora in the south. The closest rail trail to the Bay of Plenty area. Help make Auckland a world-class city for people on bikes. Info on cycling in Auckland. 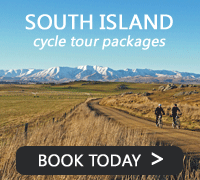 NZByBike is your definitive where to ride guide for cycling in New Zealand. On NZByBike.com, New Zealand’s most-searched cycle information website, you’ll find descriptions, photos and maps of cycle trails all around New Zealand. An information website, created by a cyclist. So you want to be a cyclist? Then you should probably learn how to speak like a cyclist. Here are some terms you may come across while reading cycling blogs or speaking to your fellow cyclists outside of the normal mechanical jargon. The Big Easy on the Hawke’s Bay Trails is the ultimate antidote to all those serious lycra laden cycling events held across the country. The Big Easy ride is 45kms and we encourage you to take all day and enjoy the many tasty Hawke’s Bay distractions along the way. A national project to build a world class network of cycle trails. Find out more about our Great Rides and cycle touring routes, check out the trails that are already open and plan your next great riding adventure. 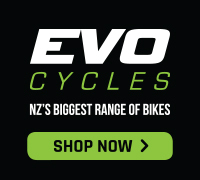 NZ’s national sporting body for cycling in New Zealand.